George Stevens had one of the most remarkable careers of any Hollywood filmmaker. He began as a cameraman for Laurel and Hardy before moving into the directing chair and following comedies like Bachelor Bait and the Wheeler and Woolsey vehicle Kentucky Kernels with such acclaimed classics as Alice Adams, Swing Time, Gunga Din and Woman of the Year. During World War II he joined the U.S. Army Signal Corps and led a documentary film unit, shooting indelible footage of the concentration camp at Dachau. Returning to Hollywood, he began a new, richer and deeper phase of his filmmaking career, earning Oscars for his direction of A Place in the Sun and Giant, and making such classics as I Remember Mama, Shane and The Diary of Anne Frank. The George Stevens Lecture was the first of the Academy's ongoing lectures on the filmmaking arts, and celebrates the craft of directing. Saturday, September 27 | 5:00 p.m. Eight years before receiving his first Oscar nomination, for directing1943’s The More the Merrier, George Stevens directed this 1935 version of the oft-filmed Gene Stratton-Porter novel. John Beal plays Laddie Stanton, a farm boy in 1850s Indiana, whose love for beautiful Pamela Pryor (Gloria Stuart, more than 60 years before she went “back to Titanic”) is thwarted by her snobbish father (How Green Was My Valley’s Oscar-winning Donald Crisp). Laddie was the first drama from cinematographer-turned-director Stevens, whose earlier features were comedies like The Cohens and Kellys in Trouble and Hollywood Party, and his work on the film inspired RKO to hire him for his first prestige project, Alice Adams, which went on to receive Oscar nominations for Outstanding Production and for star Katharine Hepburn. Laddie has been largely unseen for decades, and the Academy is presenting this newly restored print of the film as part of its ongoing George Stevens Lecture series on film directing. 1935, 70 minutes, black and white, 35mm | Directed by George Stevens; written by Ray Harris and Dorothy Yost, based on the novel Laddie: A True Blue Story by Gene Stratton-Porter; with John Beal, Gloria Stuart, Virginia Weidler, Donald Crisp, Dorothy Peterson. Saturday, September 27 | 7:30 p.m.
George Stevens won the first of his two Oscars for Directing for this moving and romantic film version of Theodore Dreiser’s 1925 novel An American Tragedy. Montgomery Clift, in one of the roles that defined his screen persona as well as confirming him as one of the top leading men of his era, plays George Eastman, who leaves his impoverished mother to work for a wealthy uncle in California. George becomes involved with factory worker Alice Tripp (a heartbreaking Shelley Winters) only to fall hard for wealthy young Angela Vickers (Elizabeth Taylor, never more beautiful). 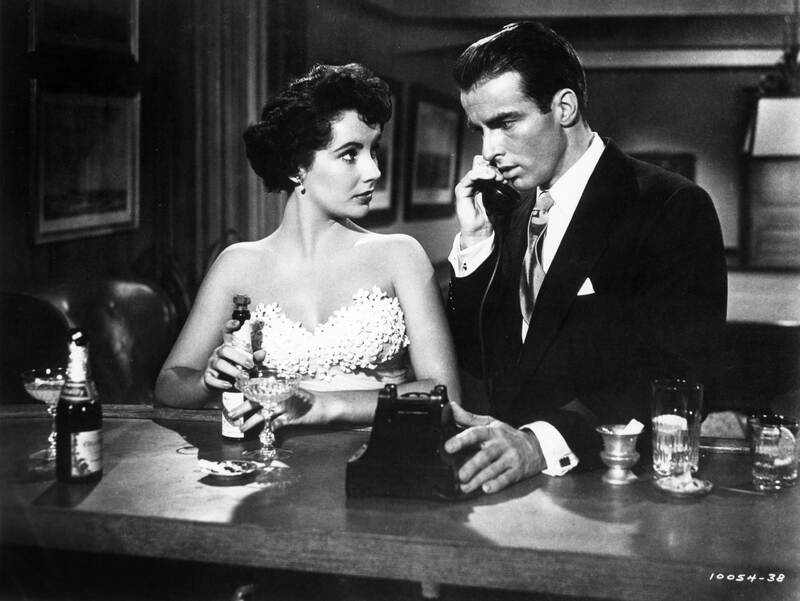 The film also earned Oscars for its Cinematography, Costume Design, Film Editing, Music and Writing, and nominations for Clift, Winters and Best Picture. Richard LaGravenese, an Academy award nominee for his screenplay for The Fisher King and the director of such films as Living Out Loud and Freedom Writers, will introduce the film as part of the George Stevens Lecture series. 1951, 122 minutes, black and white, DCP | Produced and directed by George Stevens; written by Michael Wilson and Harry Brown, based on the novel An American Tragedy by Theodore Dreiser and the play by Patrick Kearney; with Montgomery Clift, Elizabeth Taylor, Shelley Winters, Anne Revere, Keefe Brasselle, Fred Clark, Raymond Burr.